The queens of socialites are again fighting. this is not new since the two controversial socialites are getting used to it.Vera Sidika and Huddah Monroe have been fighting for as long as I can recall. Huddah recently revealed the source of her wealth, posting her pictures while in her farm. "My day today , this ain't for everyone... back to the hustle! 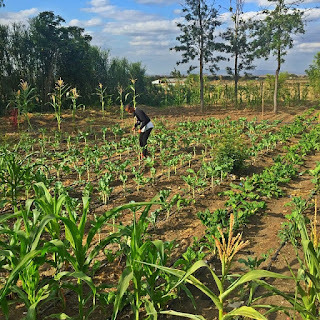 This is what I do for a living , this is Where I get my eggs , my bread , my car, my house rent, etc on a 10 acre land ....... #FARMING , #FOODsupplier .I let my hands get dirty so I can chill on a YACHT in Ibiza"
Vera Sidika begged to differ with her claiming that the pictures Huddah was using to show case her farm and products were downloaded from the internet. Here is what she said. 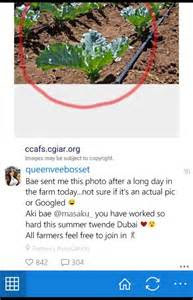 "Bae sent me this photo after a long day in the farm today...not sure if it's an actual pic or Googled... Aki bae Masaku you have worked so hard this summer twende Dubai... All farmers feel free to join in"